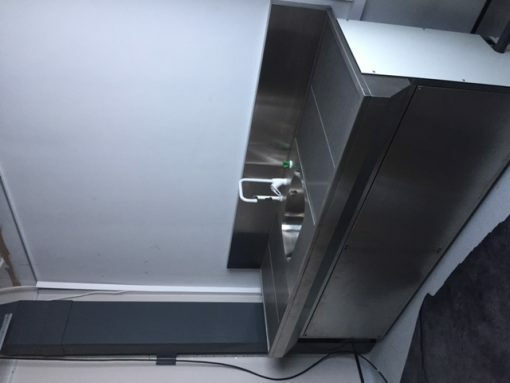 Recent installation carried out in Nottingham of ventilated dissection downdraft bench in stainless steel. 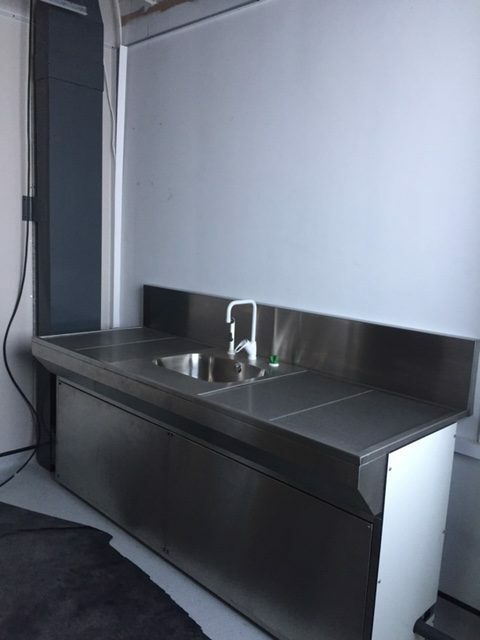 The unit consisted of stainless steel sink unit fitted with a macerator, mixer tap and operated hand shower. Fumetec provided an uPVC Extract system via a plenum box located at the rear of the downdraft bench and installed ductwork leading to a direct driven fan unit on the roof before exhausting to atmosphere.